Stage I : The symptoms are most intense in the earliest stage, and may subside in 6 to 8 weeks. 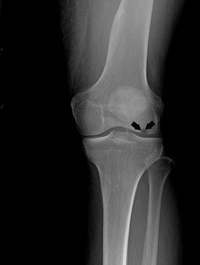 In this stage, the X-rays are normal; a positive bone scan may be required to make the diagnosis. Treatment for Stage I disease is nonsurgical, focusing on pain relief and protected weight-bearing.